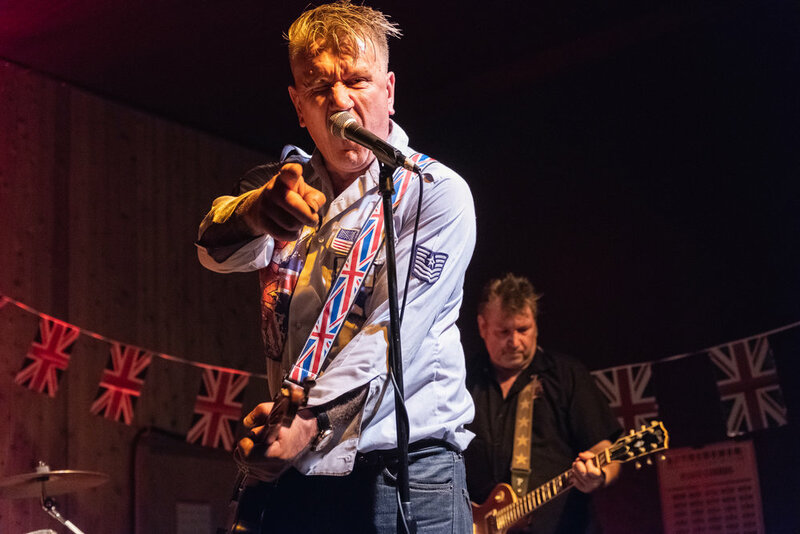 The Texas punk scene is losing an amazing talent as frontman Pete of UK76 is moving back across the pond. The band performed at a farewell bash at the Black Sparrow Music Parlor in Taylor a couple of weeks ago. It was a night of celebration and sadness. Pete made an impact on the music scene in these parts and I hope his passion has sowed a seed for others to carry the torch for British punk. I don't do a lot of color photography for live music, particularly at places like Black Sparrow where the stage lighting is pretty bad. However, the harsh wash of red and green lights seemed to work that night and I did want to let the color of the Union Jack flags show in the spirit of things. UK76 and friends put on a high energy performance as you'd expect from a proper punk band. I had a great time and hope that Pete and his wife will be able to return some day. All photos were taken with my Fujifilm X100F and the wide/tele conversion lenses. Raw conversion in Lightroom CC. More photos from the night can be seen on my gallery site.